Don't let winter weather turn the most wonderful time of the year into the most stressful. Unfortunately, whether you’re traveling by plane, train or automobile, delays and cancelations around the holidays can sometimes be inevitable. At least one area of the country is bound to get hit with snow or sleet at just the right moment, resulting in a snowball effect of delayed arrivals, missed connections and stretched-too-thin crew members who just want to get home for the holidays, too. While you may not be able to control the weather, you can control whether or not your holiday will be completely derailed by it. Here are a few things you can do before and during the holiday travel season to prevent a travel nightmare. Don’t travel at peak times. If possible, when booking your plane or train ticket, try to snag a departure early in the morning in anticipation of delays. You may have to wake up at the crack of dawn, but you can expect quieter terminals and more options to switch your flight throughout the day. Those trying to travel late at night may find the last flight of the day canceled and be forced to come back the next day. When it comes to driving to your desired destination, Google can advise on the best times of day to avoid holiday traffic. Check the weather early and often. Come up with a backup plan. If the weather looks bad, don’t wait until the last minute to start looking for other options. A quick flight search may yield last-minute deals from more desirable airports. Major flight cancelations might mean it’s easier and cheaper to reach your destination by train or bus, if close enough. Most major airlines offer refunds or change/cancelation waivers due to weather, sometimes even days in advance of a major storm, allowing you to start making other arrangements. Sign up for alerts for your flight, and check travel advisory pages. If you do receive a waiver in advance, rebook as soon as possible to find the best deals and times to travel before a weather incident. And if you find yourself stuck in the airport day-of, searching for alternate routes or airlines while waiting for your delayed flight may still prove useful. While your flight home on one airline might get increasingly delayed due to a staff shortage, another airline could be completely unaffected, allowing you to switch while you wait. Additionally, airlines like Southwest never require a fee to change, meaning you could easily switch to an earlier flight in anticipation of an evening storm. If you’re really worried about cancelations and are within driving distance of your destination, book a car rental for the days of your desired travel ahead of time. The reservation won’t cost you anything since you can always cancel if you don’t end up needing it. 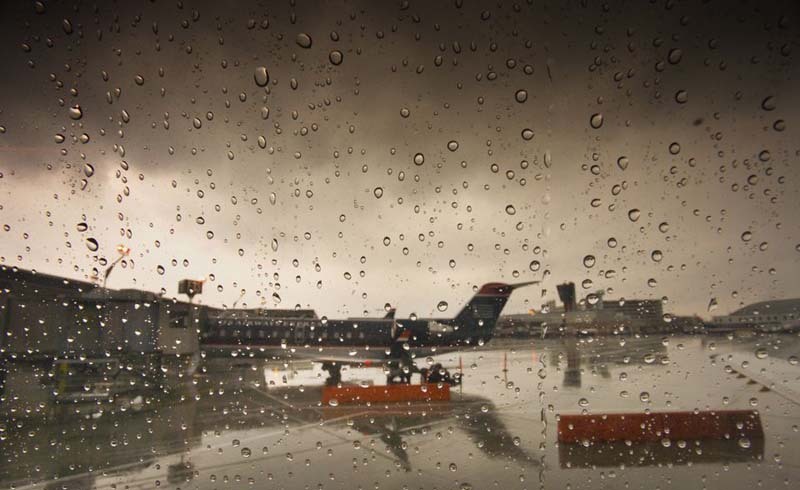 If bad weather in parts of the country make for crazy airports and train stations, the backup car might come in handy to reach your destination in time, or to return home when others are stranded. 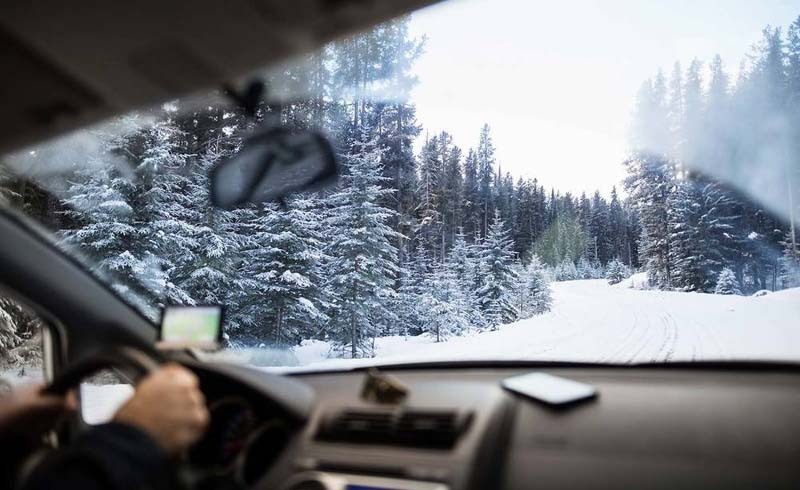 Because major storms around the holidays can sometimes cause a buildup of cancelations for days, you may find the roads clear enough to drive, even if you aren’t able to take to the skies. Keep calm and don't yell at the airline staff. When holiday travel blues get you down, remember that the season is meant to be about joy, peace and surviving family gatherings. You, the rest of the delayed travelers, and everyone working in those airports and train stations want to get home as badly as you do. Unfortunately, airlines sometimes can’t control the repercussions of bad weather. A good attitude can go a long way on days like these, while shouting and swearing is not likely to get you on a flight any faster. Additionally, instead of struggling on the phone with your airline, try speaking to someone in person about your situation, or take to social media for updates on your plans. During hectic times, you may find Amtrak or JetBlue answering your tweets or Facebook posts more quickly than were you to wait on hold for a representative.